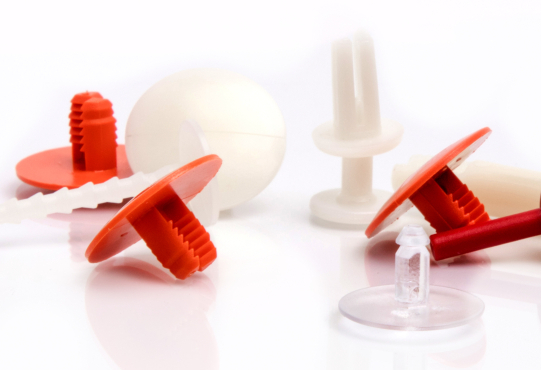 Plastic fasteners are used in almost every type of industry including automotive, appliance, electronics, furniture, and more. The popularity of these type of fasteners only grows each year because they have been proven to be cost-effective, versatile, and easy to use in an assortment of applications. Some of the most popular and most used fasteners are rivets and push-in clips. Both have a wide array of applications and uses. Here is a small break-down of these fasteners and how rivets and push-in clips can make your daily jobs a little bit easier. Ratchet rivets are commonly used to hold together panels of rigid or compressed materials. 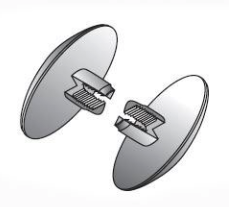 Their simple design allows you to achieve a secure and tamper-proof fit by simply pulling the two identical pieces together. They are most commonly used in appliances, vehicles, and furniture. Choosing to go with nylon or other plastic materials is always a plus because it is corrosion resistant. Volt also produces ratchet rivet extenders. This allows you to use ratchet rivets in panels with a larger thickness. Like rivets, push-in fasteners are also simple to use and many don’t require tools in order to install or remove. Depending on the material you are using or wanting to secure, simply push-in the fastener in order to hold two materials together. 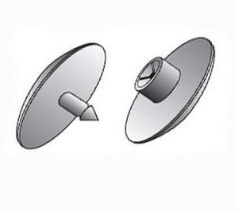 These economical fasteners are designed with a hollow body which allows them to compress going into a pre-drilled or punched hole and decompress to create a secure fit. These types of fasteners are also great because most of them can be used over and over. Most people use them to secure materials such as wood, sheet metal, plastic, and lightweight panels. They are also very popular in stores for merchandising purposes and for places that use a lot of displays and signage because they are so simple to use and require no tools. In fact, most can be inserted using the force of your hand. 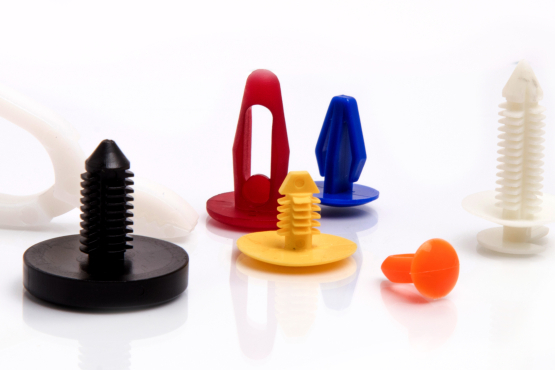 Whether you need a simple rivet or arrow clip, Volt Industrial Plastics provides a large variety of fasteners to fit almost any application. Need a larger size or a different dimension? Don’t worry! Using state-of-the-art technology, Volt also has the ability to provide unique fasteners built to customer specs. We can even color match rivets and clips to match your brand and/or products. Need a part fast? With over a million parts in stock, we can ship many parts the same day. And for parts that are not in stock, there is about a 3-5 day lead time. If you have questions about products or our manufacturing capabilities, give us a call today at (870) 449-8027 or toll-free at 1-800-844-8024.